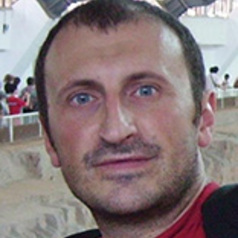 Professor Efrem Castelnuovo joined the Melbourne Institute of Applied Economic and Social Research in 2014. Prior to joining the Melbourne Institute, Efrem has held positions at the University of Padova, and has taught at the Universities of Oxford, Bologna, Brescia, Rome Tor Vergata, and the Halle Institute for Economic Research. Efrem earned a PhD in Economics from the Bocconi University (2004). He has been Associated Editor of the Journal of Applied Econometrics since 2013, Associate Editor of the Journal of Macroeconomics since 2016, and Policy Forum Editor of the Australian Economic Review since 2017. His research agenda centres on the role of nonlinearities for the transmission of structural shocks, the identification of common factors across countries, and the empirical validation of structural DSGE models. He has published his research in a number of international journals, including the Journal of Monetary Economics, Journal of Money, Credit and Banking, Economic Journal, Journal of Applied Econometrics, Journal of Economic Dynamics and Control, Oxford Bulletin of Economics and Statistics, Macroeconomic Dynamics, Journal of International Money and Finance, and Economics Letters.